A fabulous blog on harvesting nettle seeds which are a natural pick-me-up and on the to do list for this time of year. I passed a lovely afternoon recently in harvesting my first nettle seeds of the year. They are so abundant right now and so helpful during these busy periods that it was a real pleasure to get out gathering them. There are a couple of great articles on the internet describing how to harvest nettle seeds along with their uses which I highly recommend reading, notably those by Henriette here and here and Kiva Rose here and here. 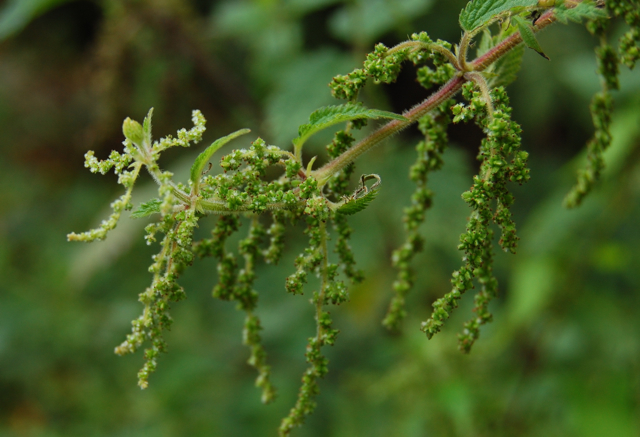 Though many people know how beneficial nettle leaf can be, until the recent revival of interest in nettle seeds it was a little used remedy in modern herbal medicine. Even now it seems to be much more popular amongst traditional herbalists and herbwives rather than medical herbalists, not that the distinction is always so clear.